Some of the best ideas are shared over coffee during casual conversation. 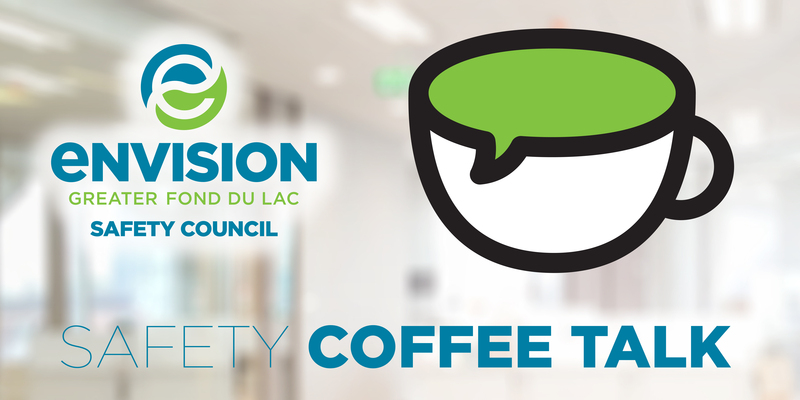 We invite you to join us for Safety Coffee Talks and company tours hosted by our local business partners. Hear from colleagues about their successes and challenges. Share your knowledge and experience with other safety professionals as we strive to make our communities and workplaces safer for all, now and in the future. Lorie Vine of Wabash National will kick off the roundtable with a discussion of the challenges of drugs in the work place, and pre-employement/random drug testing. This topic will only be a starting point, and the conversation will be steered by those in attendance. Bring your topics, headaches, and best practices for discussion with the group! Location: Wabash National, 450 Arlington Avenue, Fond du Lac (The event will be held in the employee lunchroom. Please use the Hickory Street entrance for Brenner Tank, park in the main lot and enter through the door labeled Human Resources. The lunchroom is the first door on the left).